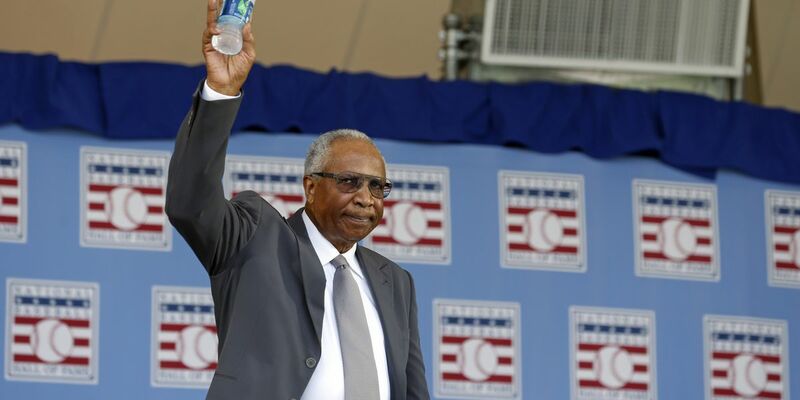 Frank Robinson, major-league baseball's first African-American manager, has passed away, the Cleveland Indians confirmed to FOX 8 News on Thursday. Robinson was the only player to win the MVP award in both leagues. Our organization and the City of Cleveland are proud to have played a role in Frank's significant impact on the game when he became the first African-American manager in baseball history on April 8, 1975. The Reds, Orioles and Indians each have retired Robinson's No. 20 and saluted him with statues at their ballparks. Robinson was the first African-American star player for the Reds and ranks second behind Johnny Bench for the the team's most home runs. Robinson led the Orioles to their first championship that October. Robinson gave his life to Major League Baseball. His ability to exact revenge on pitchers who knocked him down became so well known that Phillies manager Gene Mauch was said to have fined any pitcher who dared dust off Robinson. Robinson was also awarded the Presidential Medal of Freedom, the highest honor given to civilians in the United States, by President George W. Bush in 2005. "You think about great players, generational players- there weren't many better (than Robinson). We were friends. Frank was a hard nosed baseball player who did things on the field that people said could never be done", tweeted baseball legend Hank Aaron. At the plate taking batting practice was the Orioles' new acquisition, former National League MVP Frank Robinson, a 30-year-old whom the Orioles had received in a trade with the Cincinnati Reds for starting pitcher Milt Pappas, among others. Robinson had coached for the Orioles and worked in their front office when he became their manager in 1988 after the team opened at 0-6. The next season, the O's went 87-75 and Robinson was voted AL Manager of the Year.